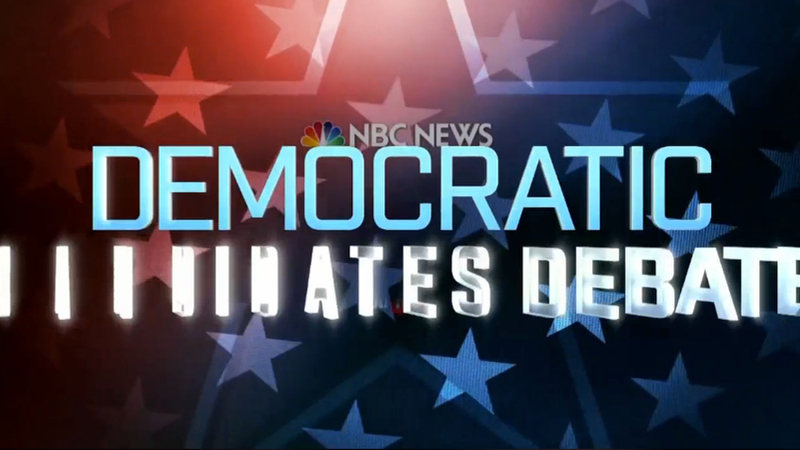 The Democrats faced off in Charleston, South Carolina for the final Presidential Debate before voting gets underway in Iowa. Hillary Clinton, Bernie Sanders and Martin O’Malley joined Moderator’s Lester Holt, host of “NBC Nightly News,” and Andrea Mitchell, host of “Andrea Mitchell Reports” on MSNBC, at the Gaillard Center. 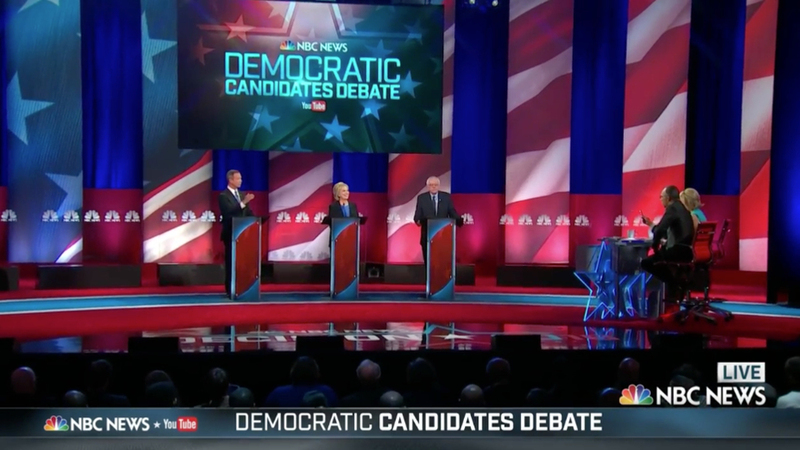 Following the design style used at CNBC’s debate in late 2015, NBC News went very patriotic with its stage design, with minimal technology or glitz like on ABC and CNN. 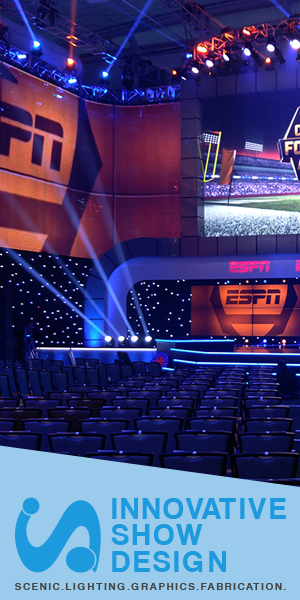 Clickspring Design worked with NBC News on the project, while The Lighting Design Group’s Steve Brill expertly lit the venue. 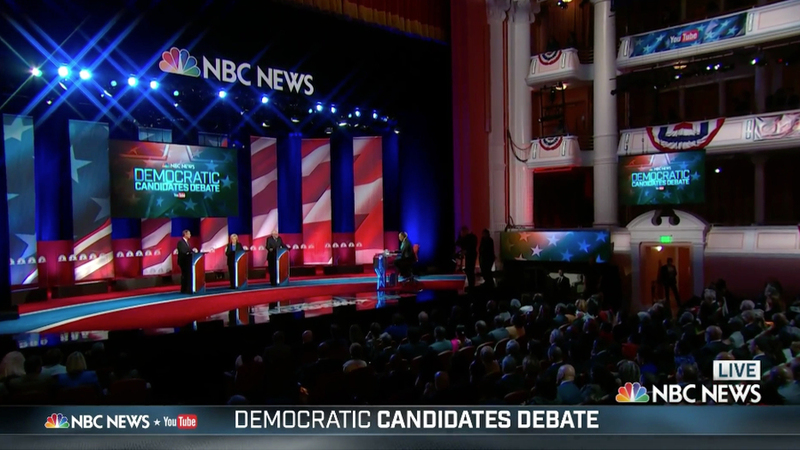 Large printed graphic panels created a large American Flag behind the candidates, with floating plexiglass panels with NBC News logos in front. Unlike some previous debates, this one took place in an arena with a large audience, providing for many shots of the crowd throughout the broadcast. 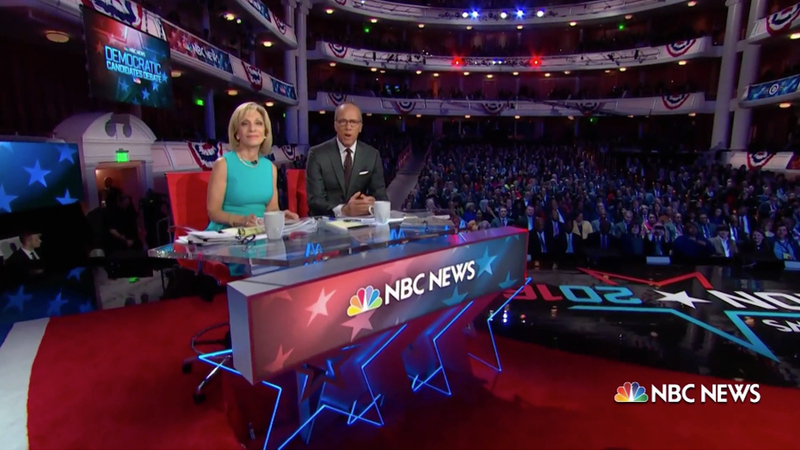 NBC brought along one of its election night desks from Clickspring Design for the moderators. The small desk was used during the last election cycle by MSNBC for its political analysts. The venue had lots of patriotic bunting and accoutrement, with a giant Decision 2016 logo on the stage floor. 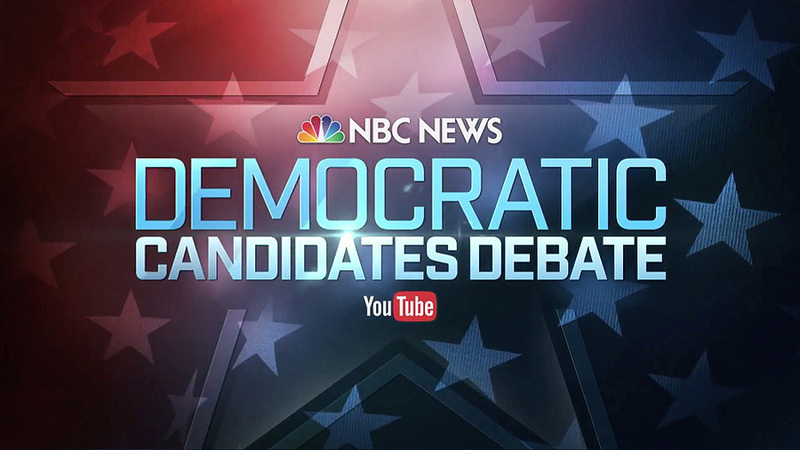 Throughout the debate, questions were asked by various YouTube personalities, which were projected for the candidates, though some audio problems did occur. 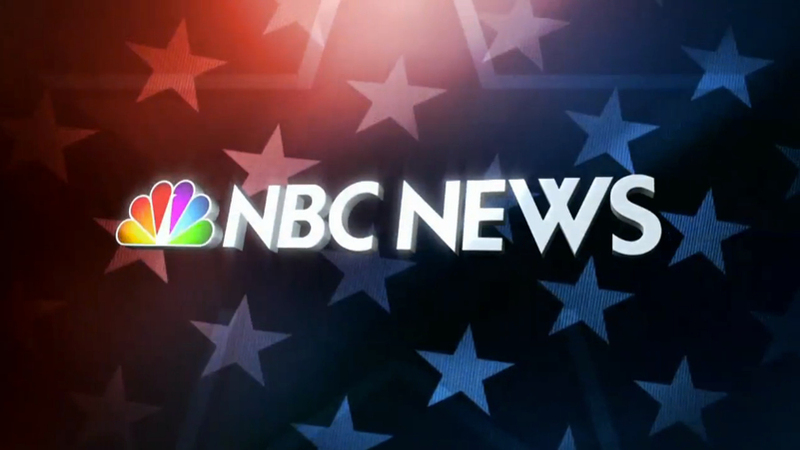 Graphically, the debate used the NBC News standard election look, opening with a simple montage of soundbites and ending with the debate logo flying in. The opening sequence used “Indomitable Will” from VideoHelper’s new “Superiority Complex” album. The GOP has one final debate on January 28, broadcast by Fox News at 9 p.m. ET, just days before the caucus in Iowa.